People belonging to the Capricorn sign are born between December 22nd and January 19th. Capricorn man is independent, responsible and loves to run his own show. On the other hand an Aries woman always goes for impromptu reactions, superfluous risks and believes in strident behavior. Stubbornness comes as an inborn trait to both. The man goes for the time tested method to achieve something, where as the woman will do the same in whichever way possible just to prove a point. Capricorn men are analyzers while the Aries women are hot-blooded, not caring about the long shot. Although not very relationship compatible they are a very good match if they want to learn from each other’s traits. Amendments and sacrifices are a key to their relationship, a successful one, that is. On one hand the Aries woman is an impulsive, aficionado and effervescent personality, and on the other a Capricorn man is stable, consistent and sober. While he takes time and effort to weigh the pros and cons of every action that he will take, she is too fast to even think of what she might have already done! The Aries woman charms her men with her optimism and bubbly personality. The Capricorn man intrigues her thoughtlessness but joys over her lavishness. He keeps trying to modify her to one which is more conventional and homely but stubborn as she is, refuses to change. His silent but strong sensation excites her. And her sizzling personality is controlled by his ability to be in charge of. There will be no hurdles to clear before they can satisfy each other sexually. The Aries woman will be the one in charge of initiating any bedroom “action” that the couple might have. 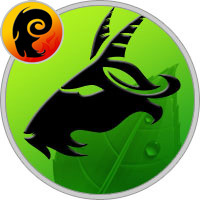 Assuming that she does make a successful attempt of lively, encouraging expressions of lust the Capricorn man will respond to her with a depth of affection and delight. The match can be rigorous and hurting for both parties but could be made successful with the right amount of tolerance and patience put together in right amounts by both parties. Once the bond has been created, it will last, for good!